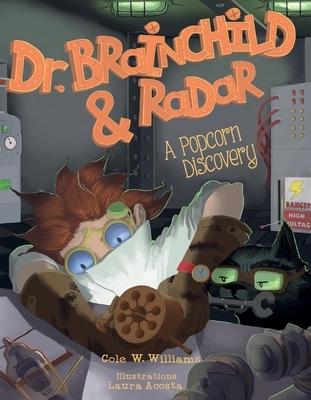 Kids of all ages will be inspired to explore and create by "Dr. Brainchild & Radar: A Popcorn Discovery"Join the fun as Dr. Brainchild and Radar discover how a little bit of creativity, some wacky inventions, and a whole lotta science can transform the ordinary into something EXTRA tasty! Boy, girl, wolf, or anything in-between--it doesn't matter so long as YOU are there! Science is for everyone, so come along and enjoy the ride! Cole W. Williams is an arrow-slinging idealist, advocate for critical thinking and curiosity, an all or nothing type of girl, a gold miner for truth. Passionately supporting emerging artists, randomly writing her own words, she stands for water, and for the river, she plants seeds of inspiration wherever she goes as the muse of being exactly who you are. Williams believes in challenging early readers in science and technology genres, strives to creatively explore nature and loves to create new characters that relate to all readers.